Be a Kona Coffee Farmer for a Day in Hawaii! Have you ever imagined what life in Hawaii was like during the early to mid part of the last century? The 1920’s to 1940’s saw an enormous influx of Japanese immigrants who changed the landscape and culture of the Big Island. During the same time, Kona Coffee was beginning to become a staple of the Big Island economy. The era was so important, the Kona Historical Society has decided to host a series of events and workshops that feature what it was like to be part of the Big Island Community during the ’20s, ’30’s, and ’40’s. In essence, YOU have the opportunity to “go back in time” and become a Japanese immigrant or Kona Coffee farmer for a day! a 5.5-acre Kona Coffee Living History Farm tells the story of these Kona coffee pioneers, emphasizing their family values, independence, and resourcefulness. 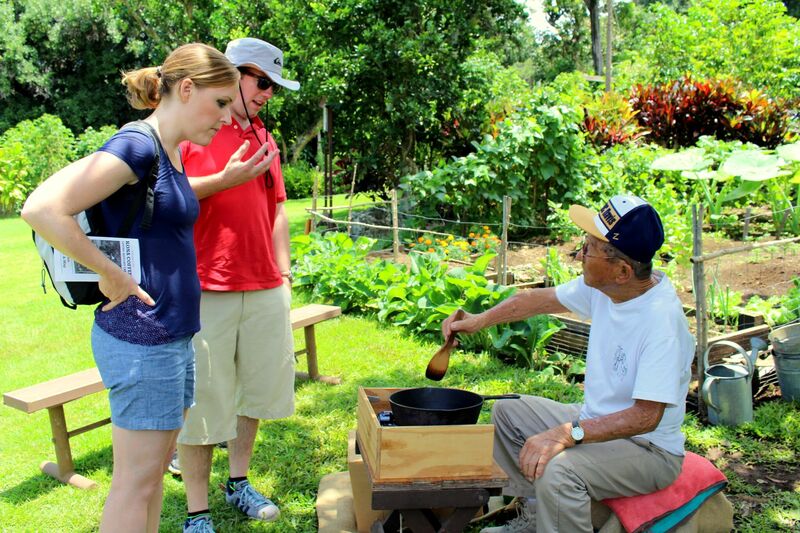 Hands On History provides visitors and community members with the opportunity to learn, experience and practice activities important to the daily lives of Kona’s Japanese immigrants and coffee pioneers during the 1920s and 1940s. 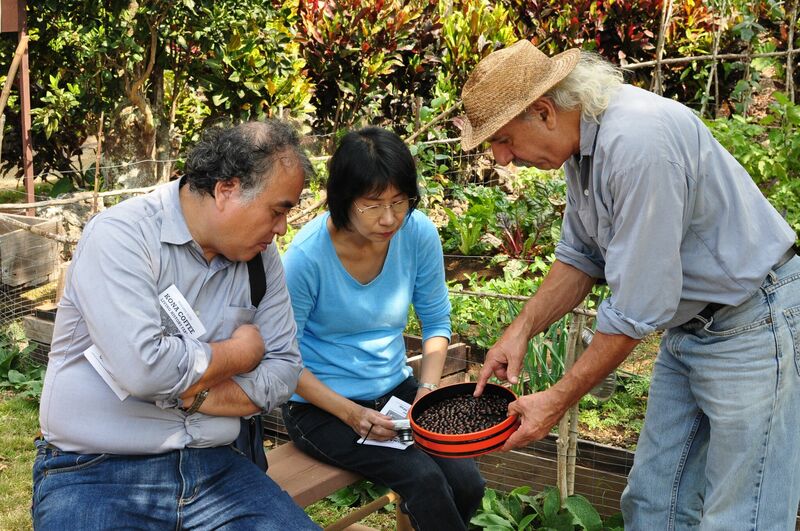 "Hands on History" provides Big Island visitors with the opportunity to be Kona coffee farmers for a day. Friday, March 3 – A Japanese Girl’s Day Tradition: Mochi Making! Although some of these traditions are limited to the past, many are still practiced today. That’s why the Kona Historical Society hopes this program will help perpetuate these cultural traditions and further preserve the history behind Kona’s coffee industry and its pioneers. The Kona Coffee Living History Farm in Captain Cook gives visitors a chance to experience Hawaii's rich coffee farming lifestyle every Wednesday and Friday. “Hands On History provides a unique opportunity for visitors and residents alike to learn and practice traditional activities that were important to the daily lives of our Kona ancestors,” said Gavin Miculka, Kona Historical Society assistant program director and Kona Coffee Living History Farm museum manager. Keep in mind, you can experience an in-depth Kona coffee excursion, plus a history and culture tour of the Big Island when you book a Kona Coffee and Culture Tour through Hawaii Aloha Travel. During the tour, you’ll visit a Kona Coffee farm (with a Kona coffee tasting) and historical places, such as Puuhonua O Honaunau National Historical Park. All farm visitors may walk through the coffee and macadamia nut orchards, tour the historic farmhouse, talk story with costumed interpreters, and visit with the donkey, chickens and farm cat. Participation in Hands On History is included in the price of admission. The farm is open from 10 a.m. to 2 p.m. weekdays and is located at 82-6199 Mamalahoa Highway in Captain Cook, near mile marker 110. It’s not every day you have the opportunity to be transported back in time! So, make your plans now to visit this living piece of history!